A 57-year-old Professor of Architecture who specializes in the work of Alvar Aalto and researches on materials has unexpectedly turned into a successful designer of accessories. Hailing from Wales, where he teaches at the Welsh School of Architecture at Cardiff University, Richard Weston has become an overnight sensation after appearing on a television talent show to find the UK’s next top designer. 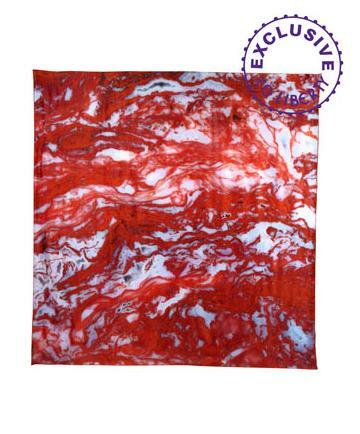 His scarves, made in a studio at his home in Dinas Powys in the Vale of Glamorgan, became deservedly popular and now sell at the exclusive department store Liberty, in central London. Based on patterns found in naturally-occurring crystals and fossils, Weston’s unique designs sell for up to £210 each. 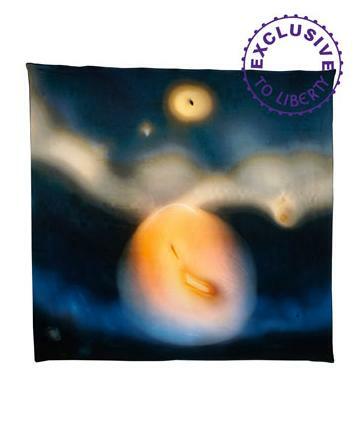 Liberty forecast 2011 sales of over £170,000 just of these scarves, which are so popular that some designs are already out of stock. After his initial fascination with creating electronic images of the microscopic patterns in various crystals, it took two years for Weston to ascertain what technology would allow him to print the images onto fabric. In 2005 he sponsored students at Newport Art College to use silk emblazoned with his designs in their end-of-year fashion show and since 2007 he has worked with fashion students and graduates on the project “Frocks from Rocks”. Made using fabrics digitally printed with his unique mineral, stone, and fossil-derived designs, the range of dresses is being developed for sale online and through luxury boutiques. The production process behind the dresses and scarves evolved with years of personal research on the best printing processes and textiles. 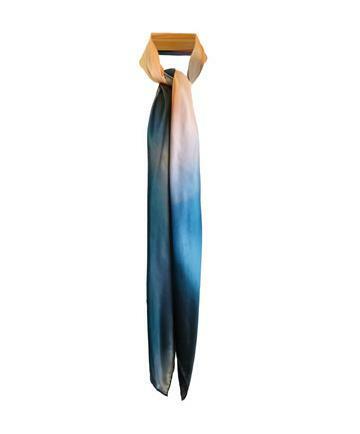 After experimenting with fabrics from different sources, the scarves are now made from high-quality silks from Italy. Also in Italy, in the region of Lake Como, Weston found Maver, a company at the forefront of digital printing that offered a service that he cannot yet find in the UK. The flexibility of digital manufacturing provided by Maver means that designs can be previewed by projecting images onto the white toilles created prior to cutting and finishing. The designs themselves remind fashion connoisseurs of the galactic prints used by Chistopher Kane in recent collections that made him one of the most admired contemporary fashion designers and his dresses some of the most coveted items. With his timeless designs inspired by nature behind him, Weston’s position in the fashion firmament is undoubtedly one to watch closely. 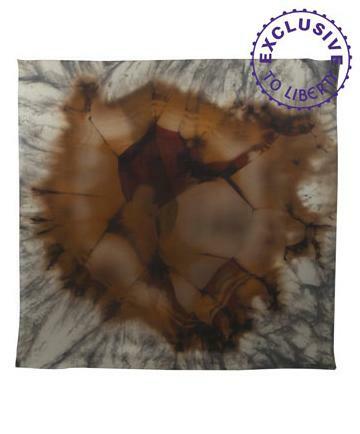 The Weston Scarves range can be purchased exclusively from Liberty. More information on Richard Weston can be found on his studio website and on his design website. 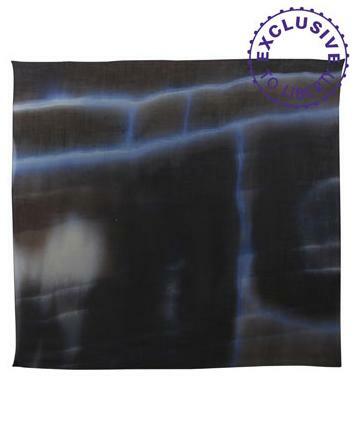 You can also find four of the scarves on http://www.net-a-porter.com/Shop/Designers/Weston_Scarves/All. And they're only £160!